LAS VEGAS – Audio-Technica announced Ark Productions & Marketing has won its President’s Award for representing Audio-Technica products during the 2017/2018 fiscal year. Audio-Technica, a leading innovator in transducer technology for over 50 years, is pleased to announce that Pine City, New York-based firm Ark Productions & Marketing has been presented with A-T’s prestigious President’s Award, for their work representing Audio-Technica professional audio products during the 2017/2018 fiscal year. Ark principal Tim Chamberlain accepted the award, which recognizes a leading manufacturer’s representative for outstanding commitment and dedication. 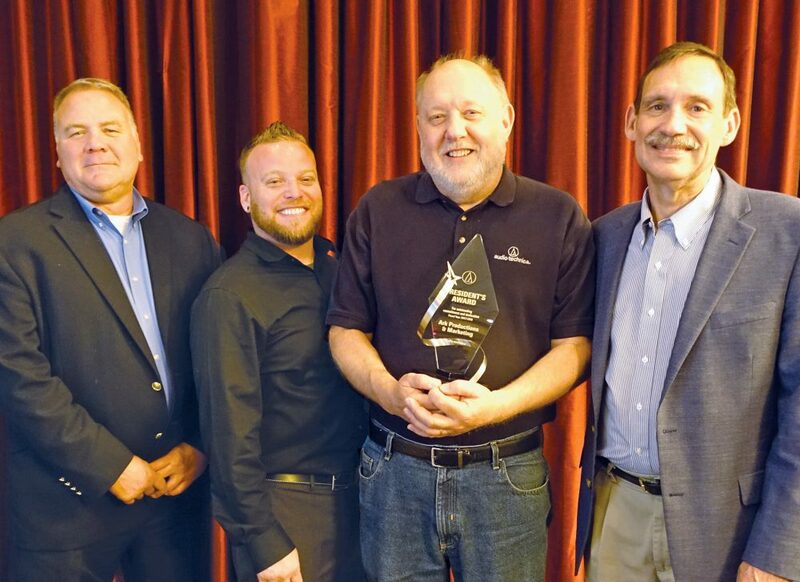 Phil Cajka, Audio-Technica U.S. President and C.E.O., presented the A-T President’s Award at a ceremony during the 2018 InfoComm Expo on June 5 in Las Vegas.